Here are part 1 and part 2. Day three began with a 9:30 meeting in a room at the back of the convention center, as the map I was given had indicated. I received a call two weeks before the show, inviting me to see a privately held demo of a product in a room on the show floor. I arrived at the gray enclosed room a little after 9:30 and knocked on the door, which was opened by the company’s VP of Sales who invited me in to meet the CEO and see the product that was described to me as an intelligent all-in-one 360° video conferencing device. And it went hoot, with two light up eyes. CEO Max Makeev and VP of Sales Dan Marchetto provided the demo of the Meeting Owl, and I must say I was highly impressed with its features, function, and it’s small interesting form factor. More to come on this as I will be talking further about the product, as well as discussions had after the show. 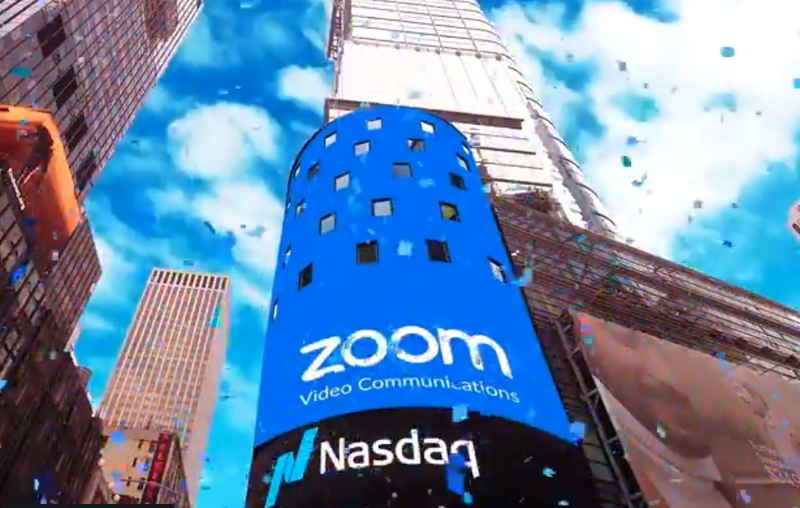 From there it was head to the Rosen Centre (from the back of the convention center no less) to record a discussion with two major videoconferencing industry players, recently partnered which formed the basis for this occasion – Polycom and Zoom. Alesia Hendley and I sat at the round table with the people from both companies to have a discussion about products, partnership and more. Janelle Raney of Zoom and Marty Sexton of Polycom, dressed in full “Wink” style (for those who visited the Polycom booth will know what I’m talking about), sat with us first to talk about Zoom solutions, Polycom Pano and the partnership. We were then joined by Polycom’s Andy Cuneo (middle in the picture below) who talked about communications, and Kevin Krautle (on the right) who talked about engineering at Polycom. Two excellent discussions which will be ready for viewing soon. I re-entered the show floor at about 11:30 and after a bit of walking around, I headed to my next appointment with QSC to have a targeted discussion with Martin Barbour about one of their recent major product launches, the Next-Generation Q-SYS Enterprise Cores, Q-SYS Realtime OS running on a Dell PowerEdge R730XL server – the only IT grade AV&C solution available today, built on standard, off-the-shelf IT hardware. I talked with Martin about the solution, along with continuing our AV and IT discussion that became the basis for my (three-part) series Rocking AV and IT, Or Should I Say Finally Merging the Two. My new discussion (as I told Martin at the booth), “IT becomes convergent with AV” will lead to another blog series soon. The next appointment was at Stewart Filmscreen to see their new products, as well as interview CEO Shannon Townley. I walked into the booth and was met by Katye McGregor Bennett, CEO|Chief Strategist at KMB Communications, who showed me around a bit, and brought me to one of the solutions that was high on my list to see – Pufferfish® PufferSphere® interactive multi-touch spherical display. Shannon then came over and we talked for a few minutes before sitting down for the interview. At the table we talked a little more, and on the table was something that he truly wanted to show me, a gift from Pufferfish in celebration of their PufferSphere® partnership. In fact, it became a centerpiece of the discussion as you will see below in the tweet, as well as in the video. (Note: the video ends just before a completed high five). My next stop was also highly worthwhile as it was at the NEC Display Solutions booth, where I was met by Vice President of Business Development and Solutions Richard Ventura, who gave me a tour first showing me Virtularium, otherwise known as “The Cave,” an outstanding immersive virtual reality experience (and no headgear necessary). Rich and I also had a great partnership discussion concerning Virtularium, as I know that partnerships for NEC are very important to him (you can see them listed below on the exhibit). While at the booth I also had the great opportunity to speak with Jon 9, CEO at Holonyne Corporation, and Executive Director, Virtularium. Rich also showed me NEC Display Collaboration powered by ThinkHub solution, which I was very impressed with as well, and more to come on that. I stopped at the Cisco booth after that to check out the Spark Board, which I was of course well aware of as I had been tracking it since ISE and Enterprise Connect (where it won a top award), however seeing it in person was important as well. A few more booth stops to follow included FSR, Inc. to see some of their new solutions, as well as have a conversation with someone that I always look forward to talking with at InfoComm, President Jan Sandri. The rest of the day, as with the last three InfoComm shows, was my time to walk around and see what I may have not been able to get to yet, along with searching for more potential additions to my top disruptive picks of the show (which will be coming early next week). I’ve tried to best summarize the three show days (as well as arrival day on Tuesday), along with something I like to do and that’s include Twitter posts. There were other stops during the show, and Alesia Hendley had her own exhibitor visits. Taylor Meyer joined me for most of them where she learned a lot from the exhibitors about their technologies and solutions. A great ending to another excellent InfoComm show for me – my thanks to the good people of InfoComm International for putting on another outstanding InfoComm show, and see you in 2018! With almost 20 years in audio visual integration and IT/computer sales and consulting, Corey Moss is the owner of Convergent AV. Corey writes for the publication and hosts/produces podcasts – The AV Life, The Edge of AV, EdTech Focus and The Show Corner. He has written for numerous industry publications about AV, IT, unified communications and collaboration (UCC), cloud and software, IoT, cybersecurity and more. He has also conducted interviews with AV and IT executives and global influencers. Find out more about Corey on LinkedIn and on Twitter @Cbmoss.